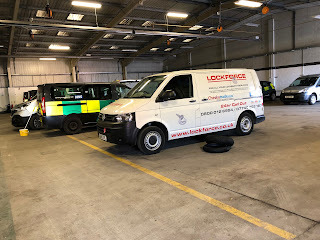 At Lockforce Locksmiths in Scunthorpe run and owned by myself Ricky I work in and around Scunthorpe attending to all the security and lock issues my customers have. I Would like to use this short blog to show you how our days go. Every Morning I start by messaging or calling customer to confirm there booking for that day and then proceed to making sure the van has all the kit needed on that day then its on to getting ready for the day making sure my uniform is clean and ironed, putting the hover fully charged back into the van. 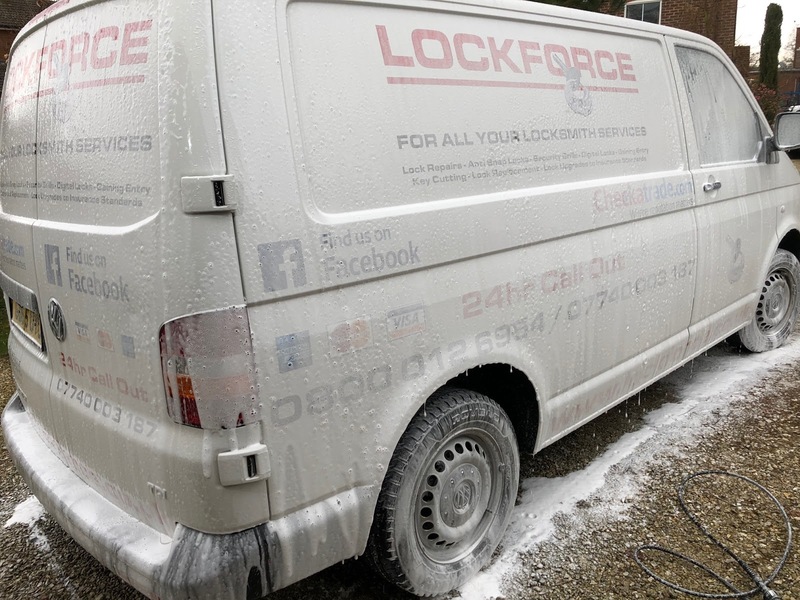 Next is the job of cleaning the van this is done daily as this is my business and a clean van is essential as I like to take pride not only in my work and appearance but also the equipment I use. I then proceeded to the first job of the day which was a family home near to us where they wanted our local locksmith knowledge on security and what locks are the best that we can supply and fit to their new home. I showed the customers all the locks that I had to offer them and told them about the option of having them keyed alike to reduce the number of keys they would need. 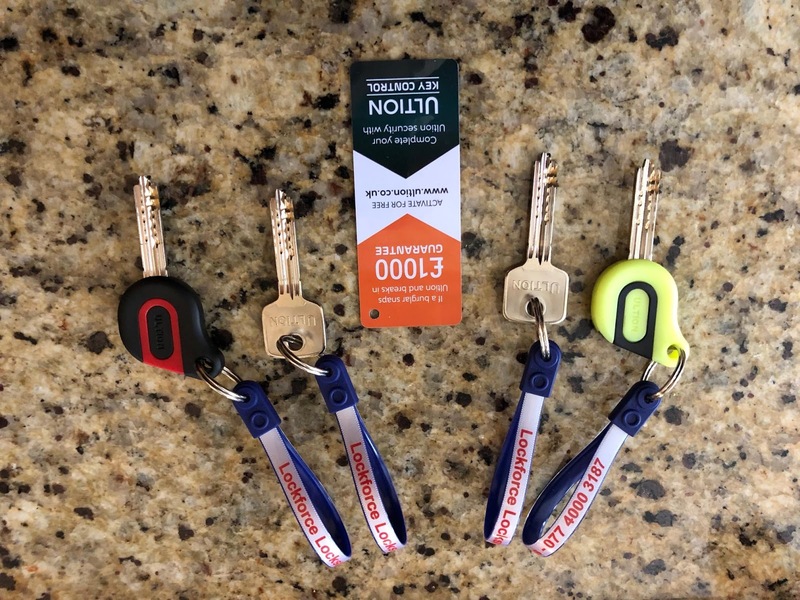 They opted for the highest level of security locks that Lockforce locksmiths in Scunthorpe had to offer which where the Ultion TS007 3-star Ultimate Security Euro Cylinders. Supplied and fitted keyed alike to two of the door and with 6 keys they also liked the sound of trackers fitted to their keys in case they were to lose them. I also fitted this to two of the 6 keys which would be attached to there car keys as we all know how annoying it is when we cannot find out car keys. I then received an emergency call out where they where changing the ambulance shift and the garage doors to where all their ambulances where kept had a faulty lock, so they could not gain access. I took the address and started to head there due to the importance of the job whilst on route I contacted the next customer to inform them that we would be a little late and explained the reasons to them to which they obviously understood. Upon arrival I began to open the door this was done in seconds I then drove my van out of the way whilst the staff went to getting on with there shift change. The head of the department then called me up to thank me for allowing the 30 minutes of a hand over to not be delayed as I was there within this time scale allowing there to be no need for emergency services to be taken off of the road for any time. Our next job was fitting of an alarm and video door bell system this took up the whole afternoon where I not only fitted all the devices but showed the customer exactly how they worked. Then it was back to the office to unload the van from all the kit for the day and give it a quick clean before sitting down to send the invoices for the day and leading to me writing this blog. Lockforce Locksmiths in Scunthorpe is a Busy Locksmith Company that always and will always make sure our customer service is always put first and this is shown on our reviews. We are a skilled locksmith like many in this area, but we are also CheckaTrade vetted, Carry Id and our DBS with us at all times as well as our Insurance Details.